Amazon.com description: Product Description: At times of crisis and revolution such as ours, diagnoses of crucial junctures and ruptures - 'turning points' - in the continuous flow of history are more prevalent than ever. 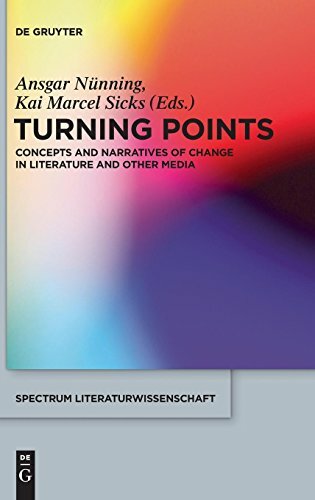 Analysing literary, cinematic and other narratives, the volume seeks to understand the meanings conveyed by different concepts of turning points, the alternative concepts to which they are opposed when used to explain historical change, and those contexts in which they are unmasked as false and over-simplifying constructions. About: At times of crisis and revolution such as ours, diagnoses of crucial junctures and ruptures - 'turning points' - in the continuous flow of history are more prevalent than ever.